These make lovely gifts for Christening, Christmas or wedding presents. 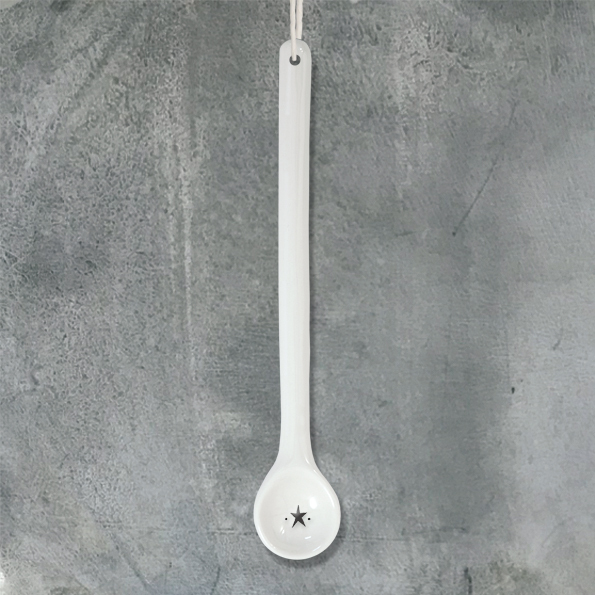 The long spoon has a simple black star detail on the bowl end and has a hanging loop and heart motif. 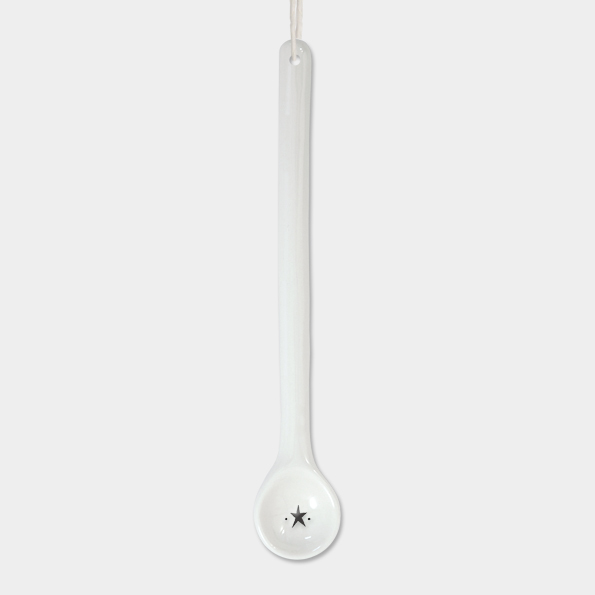 Perfect for stirring your favourite hot drink!